Above: A McLaren 720s outside the McLaren factory in Rotherham on opening day. A raft of new orders, positive employment news and new factory openings were the positive side of 2018. Concerns include Brexit and the broken devolution deal in South Yorkshire, which is hampering investment. David Walsh, Business Editor of The Star, reports. Of less monetary value, but grabbing bigger headlines, were new factories in Sheffield and Rotherham that opened within days of each other. ‘BOEING SHEFFIELD’ WAS FIRST. IT IS THE AEROSPACE GIANT’S FIRST PRODUCTION FACILITY IN EUROPE, COST £40M AND WILL MAKE ACTUATOR PARTS FOR 737S AND 767S. 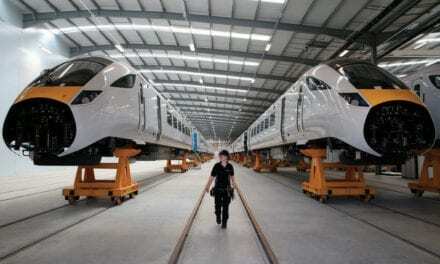 A HOST OF GLOBAL VIPS FLEW IN FOR A CEREMONY, WHERE THERE WAS MUCH TALK ABOUT PLANS FOR A SECOND, BIGGER, FACTORY, AS YET UNCONFIRMED BY THE COMPANY. Above: TRH The Duke and Duchess of Cambridge with Ruth Nic Aoidh, executive director for commercial legal, at the launch of the McLaren Composites Technology Centre in Rotherham. Credit: Dave Poucher. 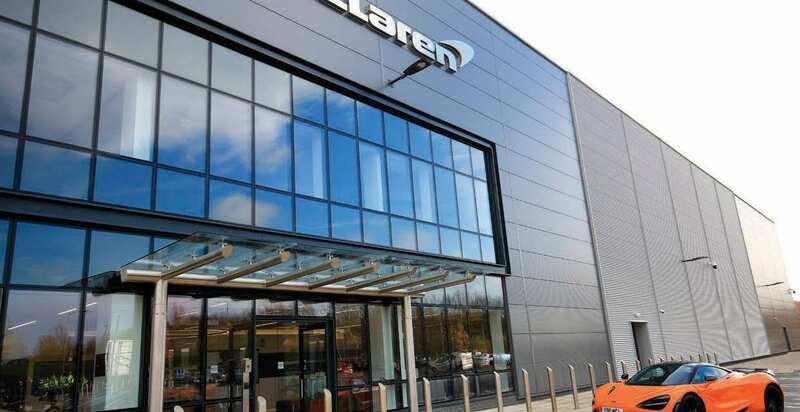 Then came McLaren, which made an even bigger splash with its £50m Composites Technology Centre in Rotherham, largely due to the appearance of the Duke and Duchess of Cambridge. It will make carbon fibre chassis from carefully cut pieces of cloth – much like a suit – layered up with glue and pressed together. They will be shipped to the McLaren Technology Centre in Woking, where cars are built by hand. McLaren and Boeing will benefit the supply chain and their reputation has attracted other companies to the area, but neither is a big employer. That ambition has yet to be realised by the organisation which was instrumental in luring them to South Yorkshire, Sheffield University’s Advanced Manufacturing Research Centre. As ever, politics played a part in the Yorkshire economy this year, with Brexit adding extra worry. The government is establishing a ‘Shared Prosperity Fund’ as a successor to European cash. It aims to guarantee business funding will not fall off a cliff when the UK leaves the EU. Northern Powerhouse minister Jake Berry rang alarm bells when he said mayoral combined authorities with fully fledged devolution deals would be “in pole position” to distribute money. Yorkshire has one ‘metro’ mayor: Dan Jarvis in South Yorkshire. But he is powerless due to a broken down devolution deal. The rest of Yorkshire has been unsuccessfully trying to persuade government to back a ‘One Yorkshire’ deal for three years. One of the first tangible signs of the impact of Brexit came from Canadian-owned Central Wire Industries in Rotherham where bosses said they had shelved £1.5m plans to create 15 jobs due to a fall in orders and fears over hold ups at borders. Export is 70 per cent of business – it won a Queen’s Award for International Trade in 2018. CEO Paul From said they were considering relocating to Europe. In the metals industry, complaints about ‘extortionate’ energy prices continued, but Chinese dumping and oil and gas woes receded. Dale Burbeary, coating operative at JRI Orthopaedics takes implants out of the vacuum. Credit: JRI Orthopaedics. Multi-award winning UK SME JRI Orthopaedics boasts world-class expertise in the design, development and manufacture of orthopaedic implants and surgical instruments. Previously owned by the charity Orthopaedic Research UK (ORUK), it was acquired by a Chinese group AK Medical, one of the world’s largest 3D-printed orthopaedic implant manufacturers, in a £16.7m deal in April 2018. JRI Orthopaedics has been working with the Beijing-based AK Medical for the last three years as part of a strategic growth strategy. The Sheffield company signed an exclusive distribution deal with AK Medical after securing regulatory approval to sell its cemented, uncemented and revision hip product portfolio in China. It has also been sub-manufacturing AK Medical implants at its Chapeltown manufacturing plant, where further investment is now planned. 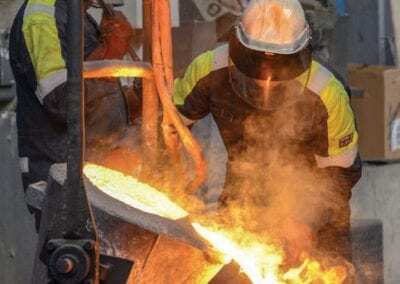 At the end of 2018, Forgemasters in Sheffield reported its biggest order book since chief executive Graham Honeyman led a management buyout in 2005, some £140m. In August he made way for David Bond, from BAE Systems. The firm invested £10m in new plant in 2017 and promised to double that in 2019. Another historic Sheffield steelmaker, William Cook, hailed the success of a survival plan following the catastrophic oil price crash of 2013. 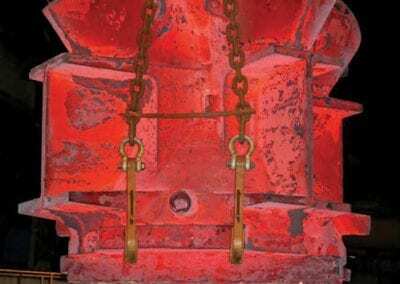 A new Precision Foundry, which safeguarded 300 jobs, is profitable, justifying an £8m investment, according to chairman Sir Andrew Cook. 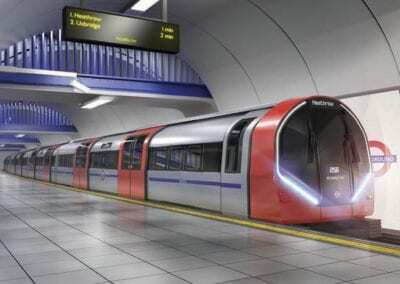 At its new £15m Leeds plant it moved into full production of a multi-million pound order to supply cast steel components for light rail vehicles for service in Ottawa, Canada. The firm created 20 engineering jobs, taking headcount to 180. 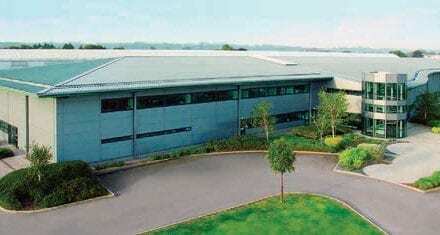 Meanwhile, powdered metals pioneer Metalysis, in Rotherham, started to live up to its incredible potential. In March it announced plans for a research centre, up to 10 times the size of £10m premises it opened only a year ago. The company is backed by investors who have pumped in more than £80m over the last 17 years. It has patented a way to produce rare metals faster, cheaper and greener than existing methods – and in any combination of elements. Another hi-tech manufacturer, Dewsbury robotics specialist Sewtec, secured a record £25m order book in 2018. It designs and manufactures factory automation systems. Clients include Nestlé, Unilever Johnson and Johnson and Procter and Gamble, with exports more than 85 per cent of sales. 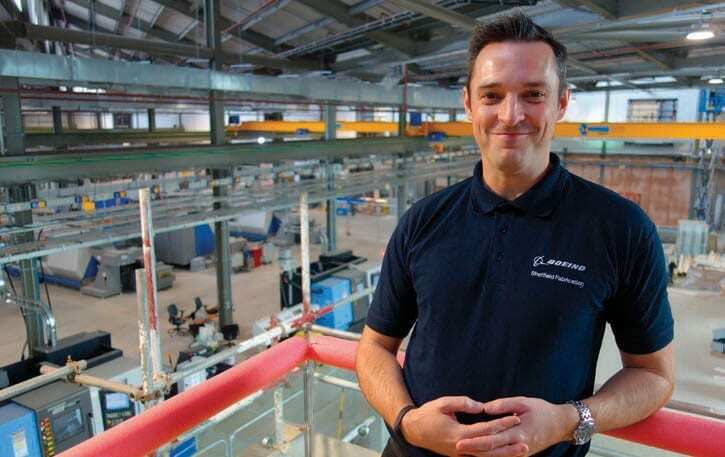 It announced plans to double turnover to £32m in five years, leading to the creation of an additional 80 highly skilled jobs. Meanwhile, in one of the biggest deals of the year, French tyre maker Michelin agreed to buy FTSE 250-listed manufacturer Fenner in a £1.2 billion deal. The target company manufactures conveyor belts and reinforced polymer products for mining and industrial markets at its base in Hessle, East Yorkshire. Turnover was £655m last year. YORKSHIRE MANUFACTURERS HAVE HAD A GOOD YEAR AND FEEL OPTIMISTIC ABOUT 2019, DESPITE BREXIT – ALTHOUGH THAT MIGHT NOT LAST. Patrick Abel, finance partner at Hart Shaw in Sheffield, said most of the engineering firms in the supply to chain were linked to oil and gas, aerospace and nuclear and he thought issues affecting automotive – closures, production cuts and lay-offs – would not hit the region too hard. Steve Wainwright, R&D manager at Doncasters Bramah in Sheffield said the region no longer relied on one or two sectors. Alex Robinson, development director at Made in Yorkshire, said differences were company-by-company not sector-bysector. “Local companies with a good strategic vision, strong commercial management and who have embraced lean manufacturing as part of their DNA are in an excellent shape for the future,” Kevin Parkin, chairman at Parkin Ltd, observed. He expressed the hope that these companies will also see the immediate benefits of embracing Industry 4.0 but expressed concern at the impact of political wrangling in the region. “The lack of joined up regional politics and several years of fighting between councils and LEPs has resulted in us failing to embrace the attractive benefits which are clear to see in Birmingham, Manchester, Liverpool and, dare I say, Leeds!” he said. The performance of manufacturers in Yorkshire remained healthy in the final months of the year despite Brexit uncertainty, weaker global growth and the impact of protectionist policies, according to a survey by EEF and accountants BDO. It found that output rose strongly to a balance of +52 per cent, the highest of any UK region, while domestic and export orders rose to +26 per cent, well above the average for other UK regions. Business confidence among Yorkshire manufacturers also rose, bucking the national picture. Nationally, manufacturers’ outlook was ‘deteriorating’ the survey found. The report suggested that exports, which have boosted the sector in recent years, had ‘hit the brakes’. 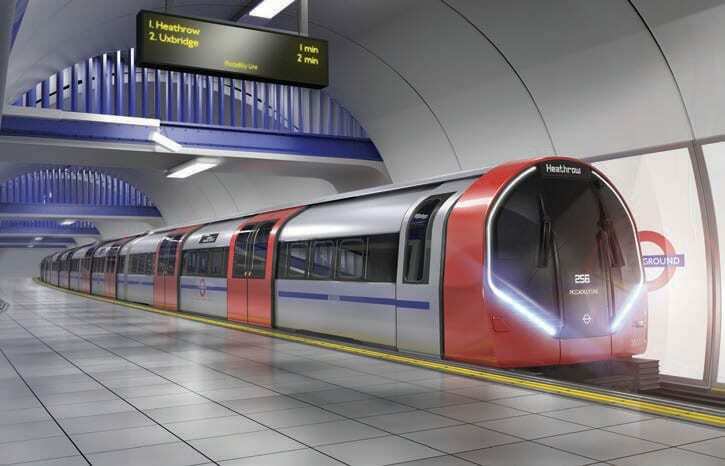 London Underground has signed a contract with Siemens Mobility to design and build 94 new generation Tube trains to replace the existing 1970s fleet. Credit: Siemens. 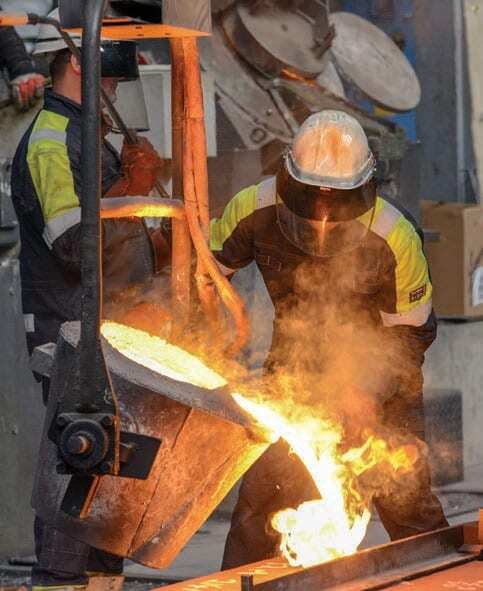 A pour at William Cook’s Precision Foundry in Sheffield. Credit: Scott Merrylees. 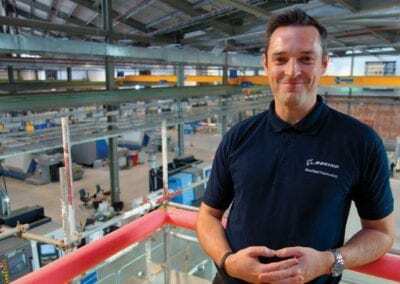 James Needham is the boss of ‘Boeing Sheffield’ the aerospace giant’s first factory in Europe. Credit: David Walsh. 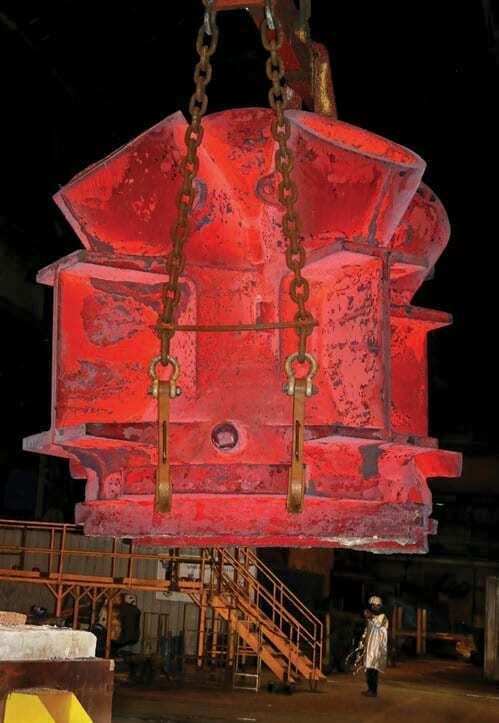 A 117-tonne cast steel node undergoing heat treatment at Forgemasters. It was destined for a deep water North Sea gas platform where it would connect a leg and lower section of a platform. It was made using CSN 400 steel developed by Forgemasters for offshore use and now widely used worldwide. Credit: Foregemasters. 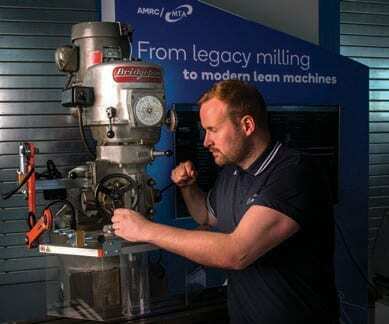 Matt Bacon at the AMRC’s Factory 2050 with a 1950s milling machine fitted with sensors. Sheffield University’s Advanced Manufacturing Research Centre was credited with attracting hi-tech players including McLaren to the region. Credit: Steve Parkin.